The transfer market continued to be a hive of activity in the first half of the week, and there was a strong international flavor to many of the deals clinched on Tuesday and Wednesday. Jokerit has signed American defenseman Mike Lundin, whose resume includes three seasons with Barys Astana after 252 games in the NHL (4 goals, 32 assists) in spells with Tampa Bay, Minnesota and Ottawa. The 32-year-old also merited a call-up for Team USA in the 2010 Worlds. The Helsinki men also recruited 20-year-old Finnish U20 international forward Erik Embrich, who spent last season with Finnish side Ässät. Both players signed up on a two-year deal. HC Sochi on Tuesday agreed a one-year deal with 31-year-old Canadian center Ryan Garbutt, who has donned the colors of Dallas, Chicago and Anaheim (NHL totals: 278 games 37 goals, 47 assists) but spent last season in the AHL with San Diego. Sochi also snapped up 27-year-old forward Igor Bortnikov formerly of Neftekhimik, on a one-year contract. The following day, the men from Russia’s deep south added a wealth of experience with two more signings, 32-year-old forward Evgeny Lapenkov from Ugra, and 33-year-old defenseman Nikita Shchitov, both of whom have played in every season of the KHL. Avangard welcomed two forwards from CSKA - 21-year-old Semyon Koshelev and 27-year-old Dmitry Kugryshev – while Omsk forward Anton Burdasov, 25, moved to the Moscow Army Men. Torpedo has signed Czech Republic international defenseman Tomas Kundratek from Slovan Bratislava. The 27-year-old made 30 NHL appearances (1 goal, 6 assists) for the Washington Capitals from 2011 to 2013. Spartak agreed a one-year deal with 29-year-old Canadian forward Ben Maxwell, who from 2008 to 2012 made a total of 47 NHL appearances in brief spells at Montreal, Atlanta, Winnipeg and Anaheim, before moving to the KHL, first with Ugra and then with HC Sochi. Another player making a move from Sochi to Spartak is experienced defenseman Alexei Pepelyayev, 32, who agreed a two-year contract. The Muscovite Red-and-Whites also signed 23-year-old defenseman Evgeny Kulik, from Ugra; 32-year-old forward Dmitry Chernykh, from Salavat Yulaev; and sealed a one-year deal with one of its former players, 27-year-old forward Alexander Komaristy, who returns after 5 years at Metallurg Novokuznetsk. 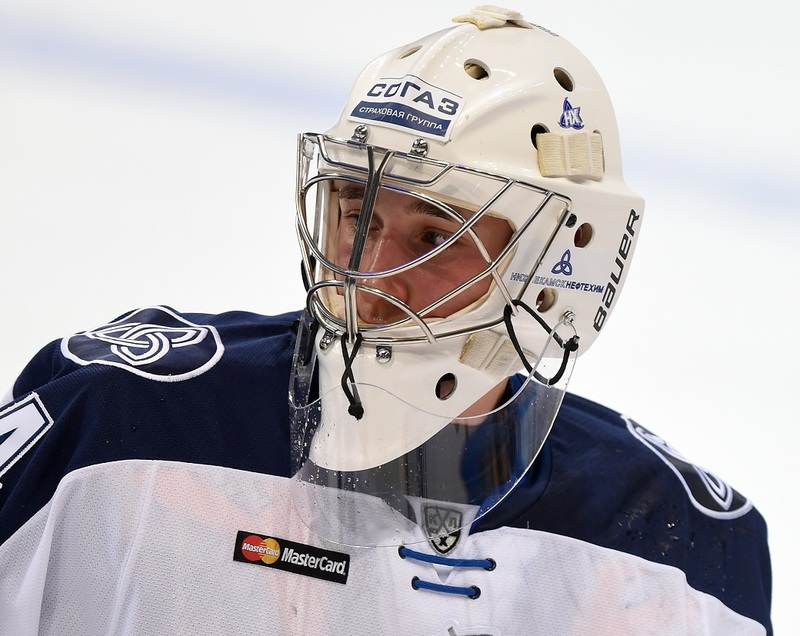 The Novokuznetsk men also took part in an exchange of goalies: Rafael Khakimov, 26, is also departing for Neftekhimik Nizhnekamsk, while 22-year-old netminder Andrei Kareyev travels in the opposite direction. As part of the deal, Neftekhimik also receives financial compensation. Avtomobilist have signed Czech Republic international goaltender Jakub Kovar from Severstal. The 28-year-old, who once spent a season in the OHL with the Oshawa Generals and Windsor Spitfires, and is the brother of Jan Kovar, the famous Magnitogorsk forward, has signed a one-year deal with the Yekaterinburg club. Vityaz has agreed a one-year contract with Czech Republic international defenseman Vojtech Mozik, who has 7 NHL appearances with the New Jersey Devils under his belt but spent the latter half of last season in the AHL with Albany. The Moscow Region men also announced four new arrivals on two-year deals: experienced Russian international goaltender Mikhail Biryukov, 31, from Torpedo; 28-year-old forward Artyom Voroshilo from CSKA, and two Finnish forwards: 25-year-old Jesse Mankinen and 27-year-old Jaakko Rissanen, both from KalPa of the Finnish League. Finally, Ugra has signed the highly experienced 32-year-old forward Evgeny Skachkov, most recently of HC Sochi, on a one-year contract.